Food: Korean-American dishes like bulogogi beef tacos and burgers with grilled kimchi and smoked cheese that are mostly high in calories, but totally worth the guilt. They also have a weekend brunch menu with items such as kimchi pork eggs benedict and and waffles. Service: The waitress on the Thursday dinner shift seemed a little spaced out, but the food came pretty quickly and the owner was very friendly. 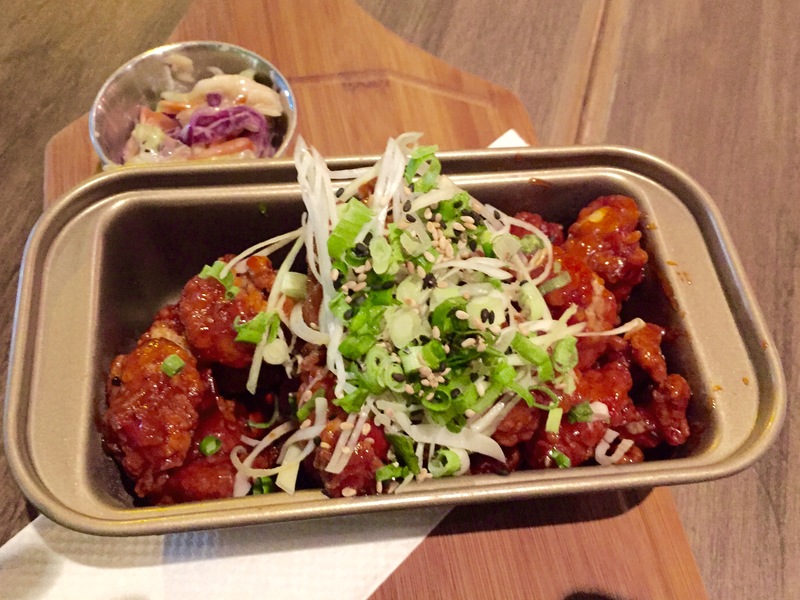 Must try: From the a la carte menu, the Korean fried chicken is ridiculously addictive. 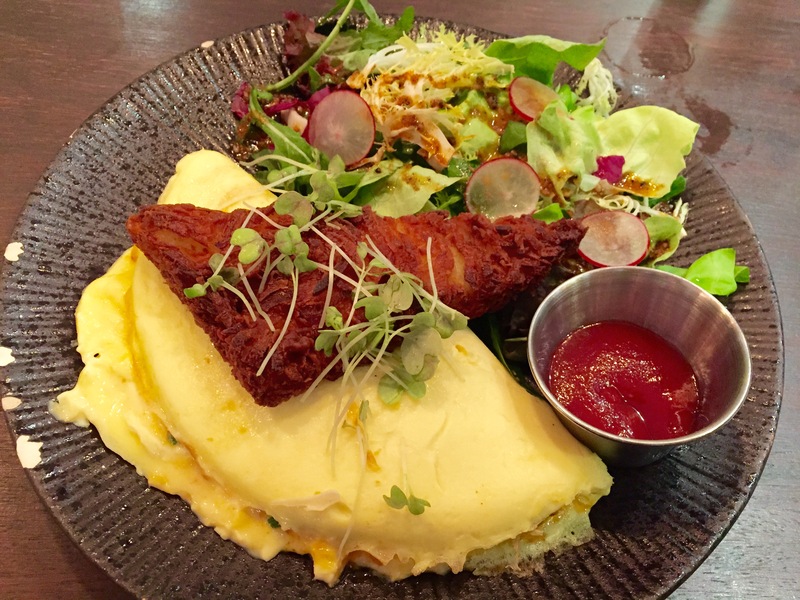 If you’re here for weekend brunch, the light and fluffy omelet with spinach, kimchi and cheese served with a salad and a scrumptious slice of Korean pancake (which looks like a hash brown) is one of the lighter, but still delicious options. Ambience: Casual and cosy, with a wonderful outdoor area. 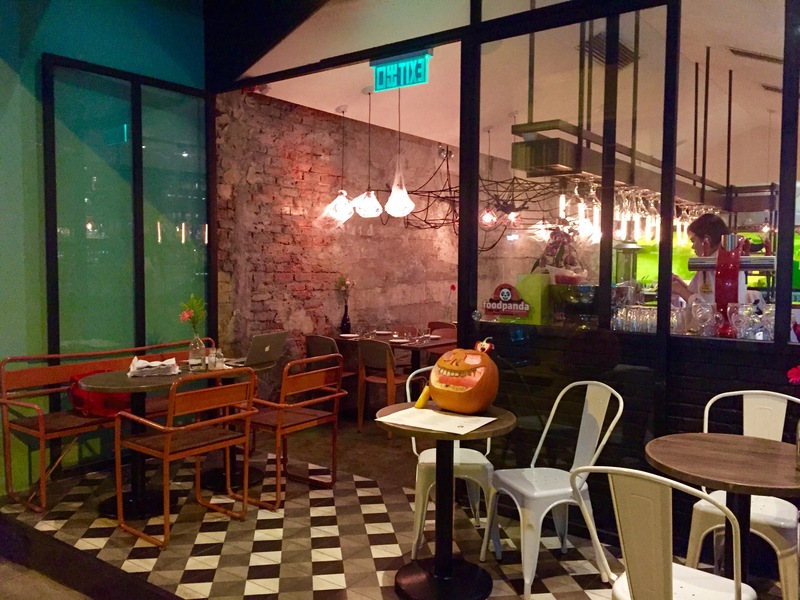 This entry was posted in Bulogogi, Eat, High Street, Hong Kong, Korean, Korean fried chicken, Korean-American, Sai Ying Pun. Bookmark the permalink.